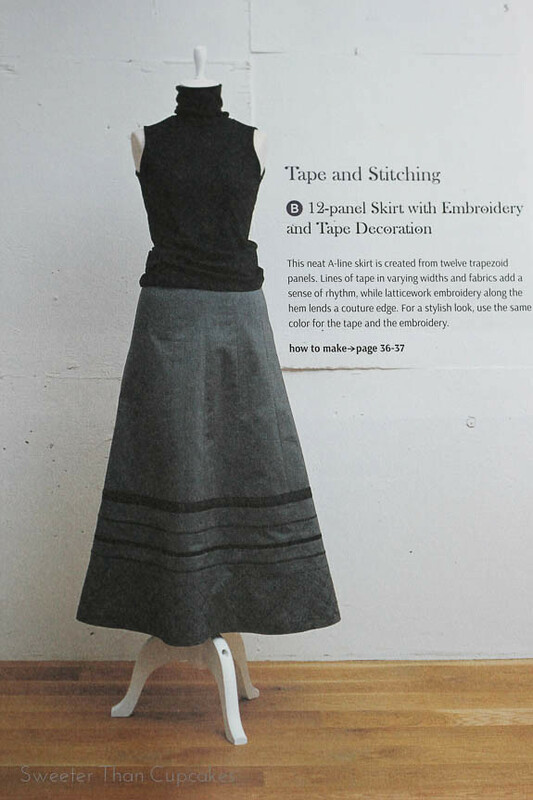 I’ve got another great sewing book to share with you from Tuttle Publishing. 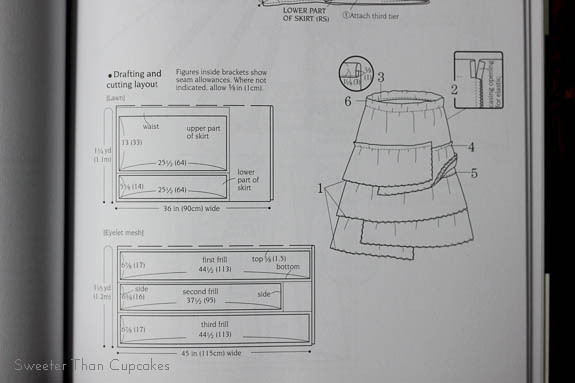 This time it’s all about sewing skirts! 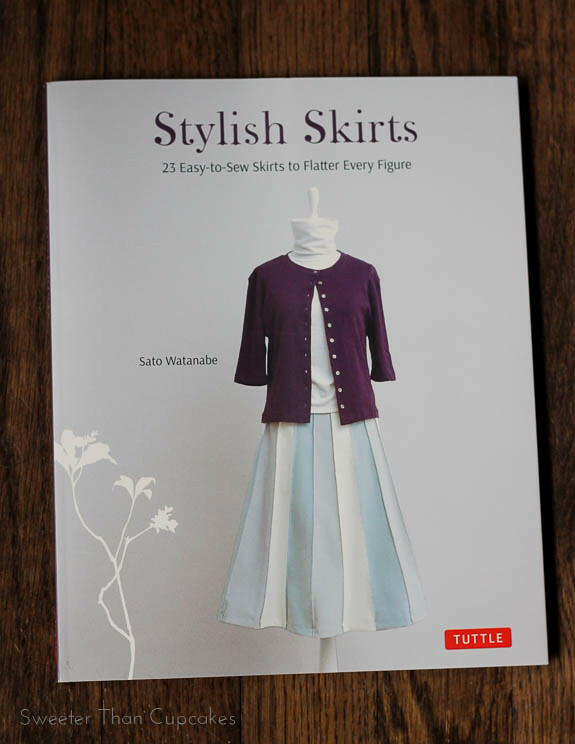 Stylish Skirts by Sato Watanabe is one of the latest Japanese sewing books to be translated to English. 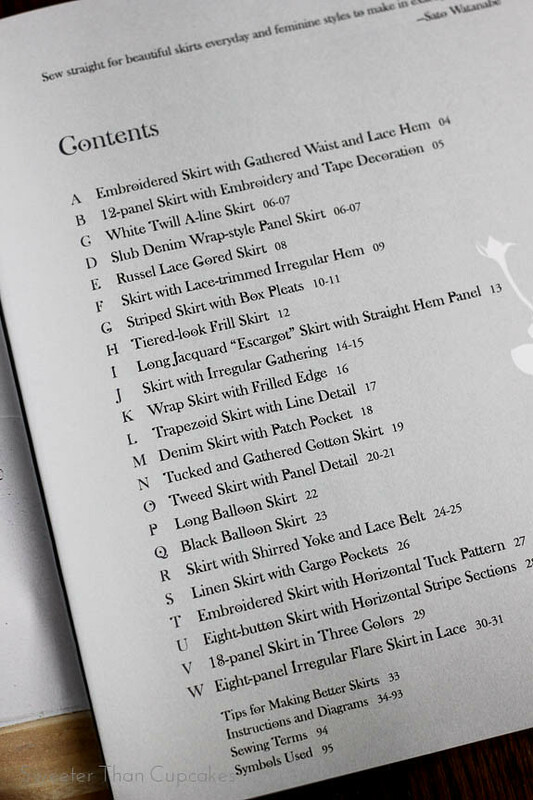 With 23 skirt styles to sew, there is bound to be something for just about everyone. 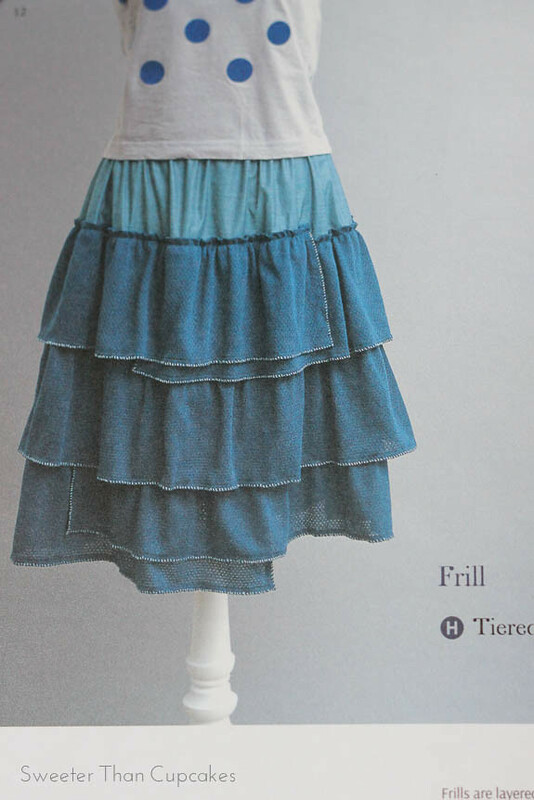 From A-line skirts to balloon skirts and a variety of lengths this book has skirts pretty well covered. 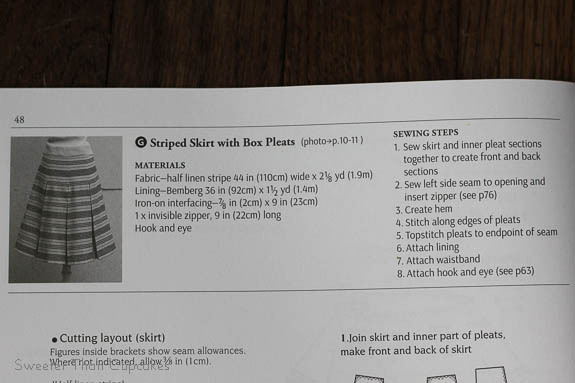 There are several great ideas for embellishing the skirts as well. This one has tapes, cords, and embroidery. 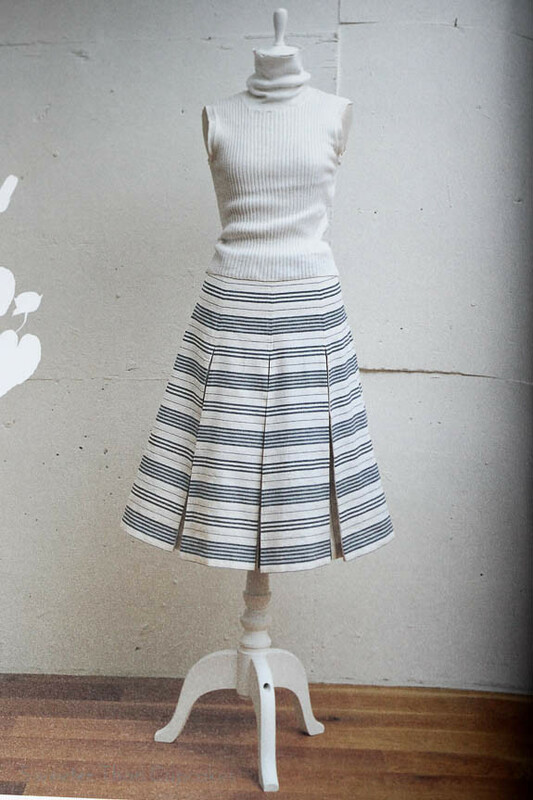 A box-pleated skirt takes on new dimensions with stripes that are turned perpendicular inside the pleats. This one reminds me of something from Matilda Jane. 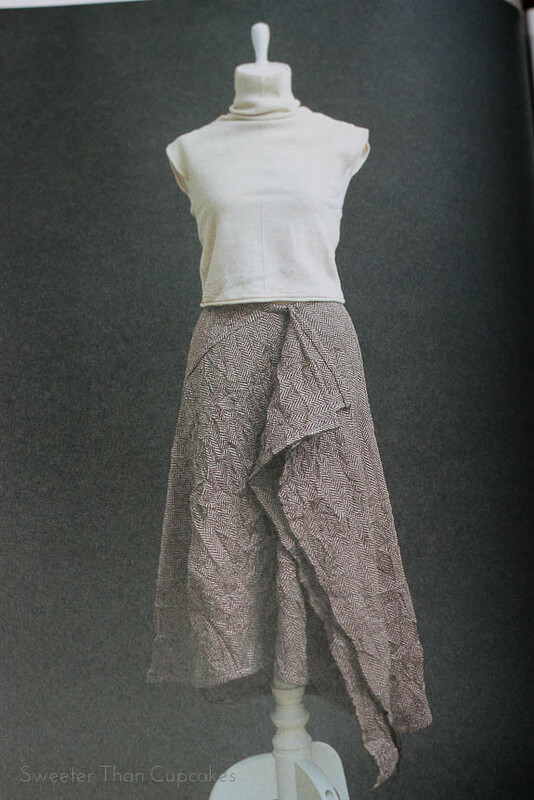 The variety of the layers adds unique dimension to the skirt. 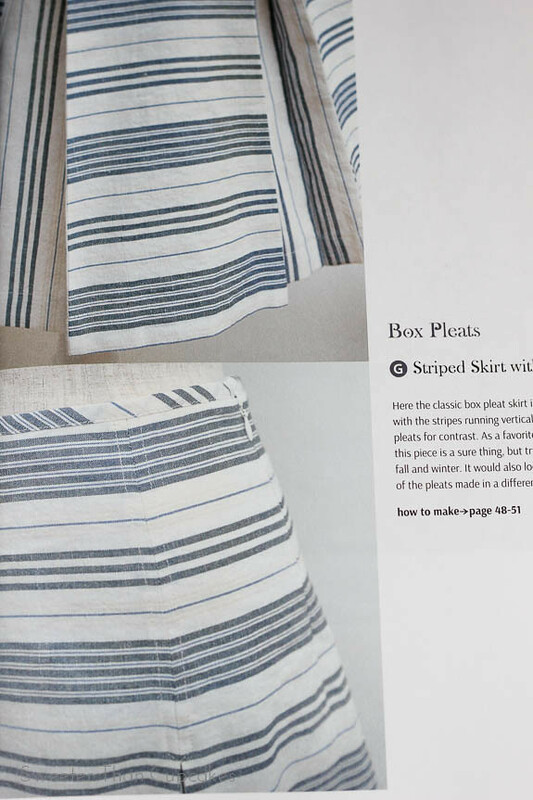 By altering panels with gathers, they have created a unique twist on a typical gathered skirt. There are a few asymmetrical options as well. I love the shirring that draws in the yoke on this option. 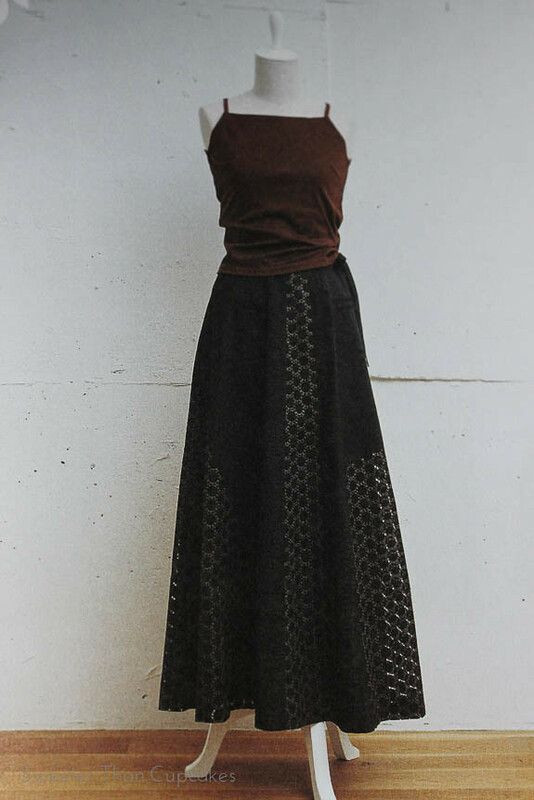 Finally, if you like texture, this skirt combines 5 different fabric types from lace to seersucker. There are a few notes to aid with sizing, but you will not find any patterns with this book. 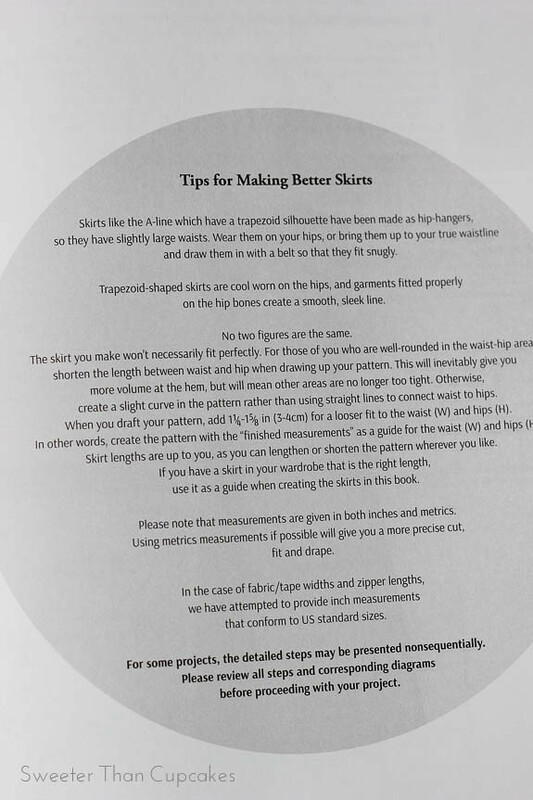 Each skirt is custom fitted based on your individual measurements. 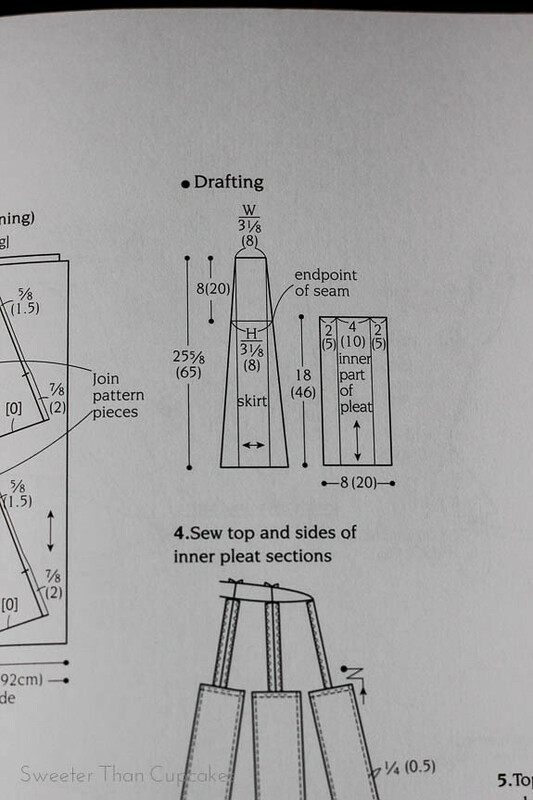 This does mean that pattern pieces must be self-drafted, but there are excellent diagrams to guide you. 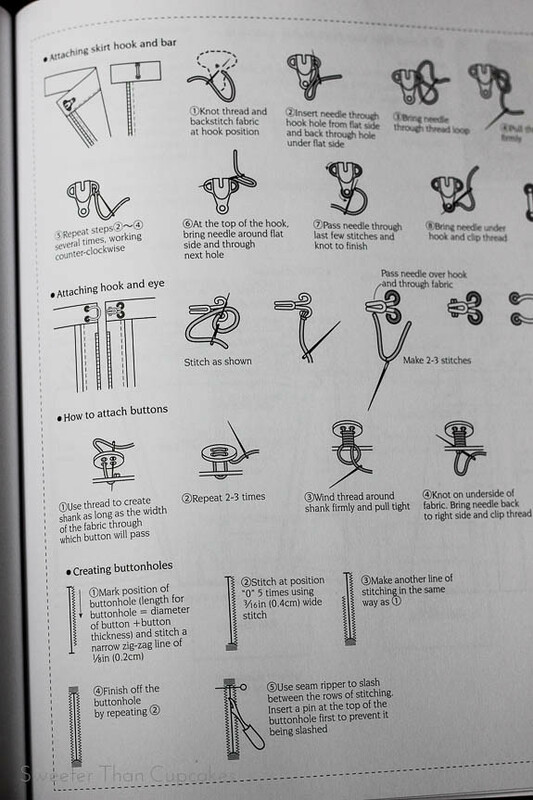 As with all Japanese pattern books, the written sewing steps are pretty minimal, but the diagrams are fantastic for showing the details. 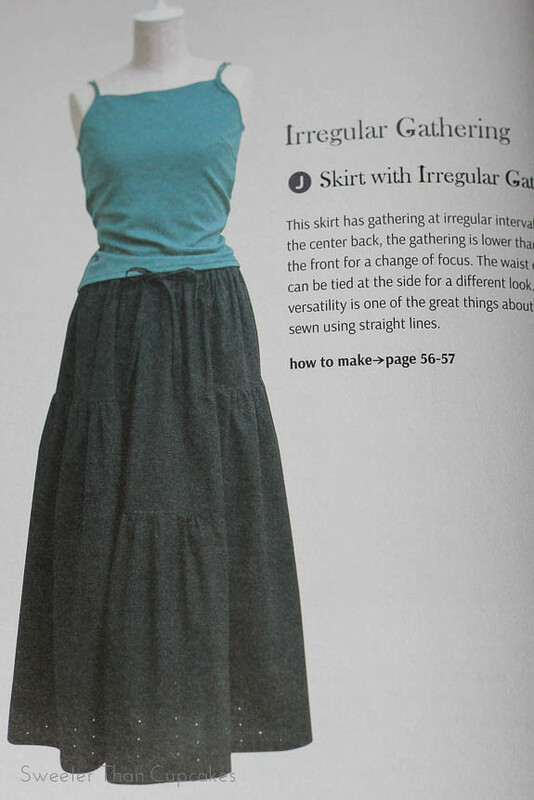 Some of the gathered style skirts seem to be one size fits most. The dimensions are given for the rectangular pieces and the elastic length is based on your measurement. Again, I stress Japanese pattern diagrams are just plain awesome! 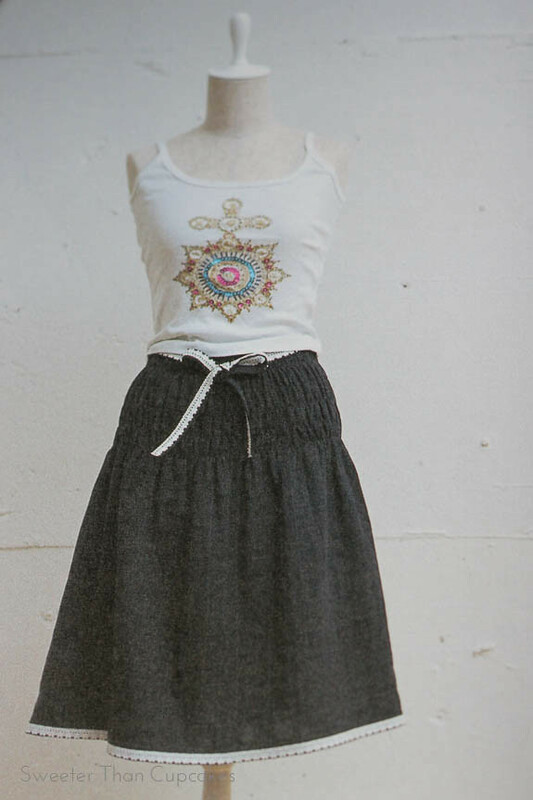 I received the book, Stylish Skirts, for free from Tuttle Publishing. All opinions provided are my own. I will only recommend products that I would use personally and are good for my readers.